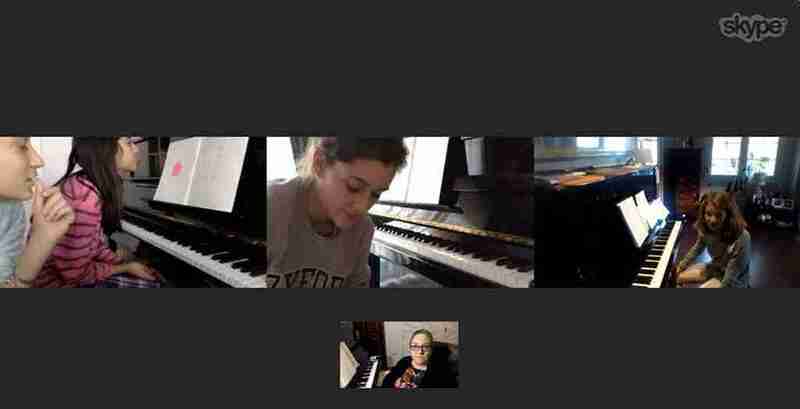 Our group piano lessons take the same format as our one-to-one online piano lessons, but can be taken with a friend or in a group. You don’t need to be in same room or even the same country to share a lesson! Whatever your lesson needs may be, we can fulfill them. Please contact me and ask. Practical lessons in playing can include music theory. 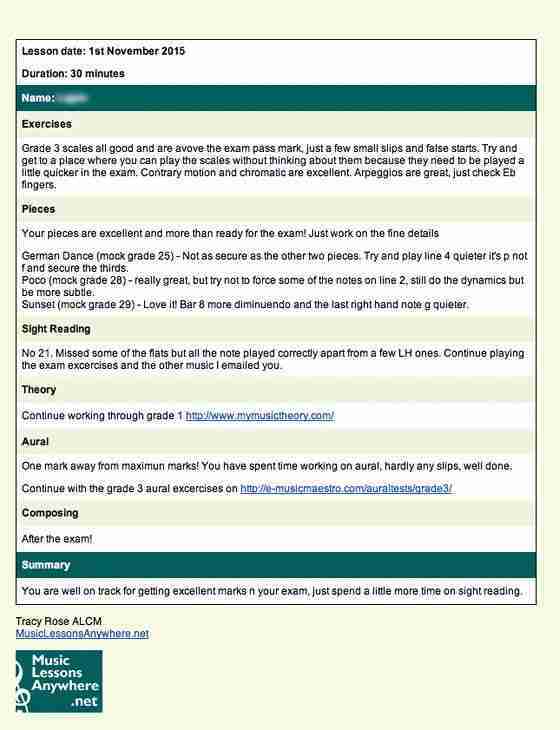 Blocks of lessons can be structured into complete courses to attain ABRSM or Rock School exams. 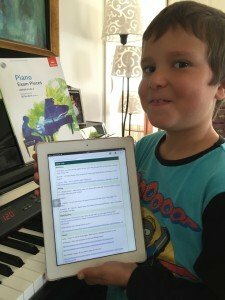 They can be top up lessons, crash courses, theory cramming, or just for fun! For ages six to seniors, for fun or to take ABRSM exams, ask a friend, friends or relative to join you for lessons. 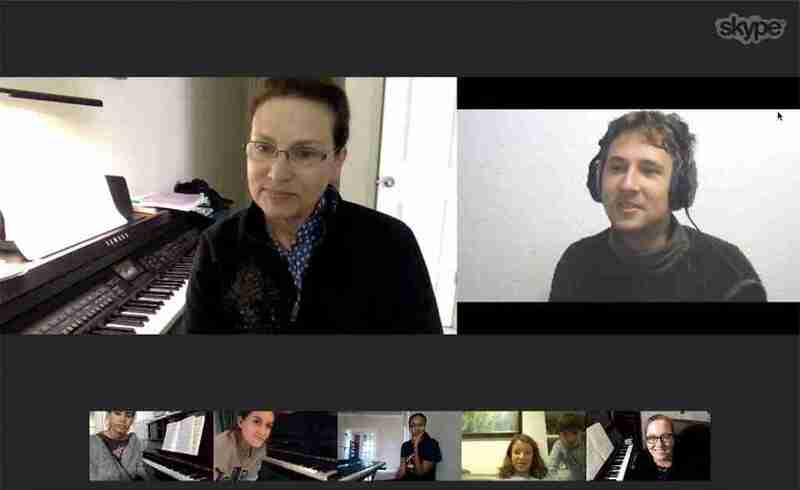 Using Google Hangouts or Skype to connect us all together, it’s easy to share lessons! Group lessons are especially good for beginners because it’s easy to find someone at that same level when you’re just starting out. Group lessons are less expensive than one-to-one lessons because the cost is £40 for an hour shared by two students or £50 for an hour shared by 3 to 5 students (maximum 5 students to a group lesson), so with just two of you sharing a lesson, the cost for each is less than a one-to-one lesson. Available free of charge to all our students, are our Workshops. Details of Workshops are published on the Events page. They cover many topics such as music theory (particularly popular before exams), improving aural skills, get togethers where students can play their pieces to each other all over the world, and the ever popular Music Bingo! Below is a map showing where some of our students are located.